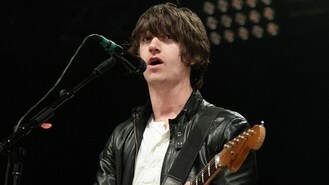 News - Arctic Monkeys set for Glastonbury? Arctic Monkeys set for Glastonbury? The Crying Lightning singers - fronted by Alex Turner - will perform on the Friday night of the music festival, reported The Sun. A source said: "There's still a way to go until the festival so anything could happen but the Arctic Monkeys have been given the Friday slot. Festival bosses know that they're a good group to get the crowd going." The group previously headlined the Somerset event in 2007, and Alex has said he would like another chance to take to the stage there. He recently admitted: "I'd really like another shot at headlining Glastonbury. I don't think we got that quite right when we did it in 2007."